Bedford, NH has been and will continue to be a very desired area in Southern New Hampshire. Why you may ask? We’ll tell you! Bedford, NH offers the small-town New England feel with tons of local amenities such as parks, walking trails, golf courses, community pool and tons of green space. One of the most popular walking trails in Bedford is the Pulpit Rock Conservation Land. It is one of the best places for local hiking, bird watching and an outdoor experience. This 338-acre plot of land features a variety of terrain and stunning landscapes including waterfalls, forest, rocky outcroppings and remnants of Gage’s Mill. Another favorite spot for Bedford residents is Benedictine Park, 28 acres of park land just outside Bedford’s historic center. This park is popular year-round, from sledding and snow shoeing in the winter to picnics in the summer, this is a perfect spot to relax and enjoy. Bedford is viewed as an upscale residential town with many major retailers located within the community. It also offers easy access to major interstates so traveling is a breeze. Only 50 miles north of Boston and minutes away from New Hampshire’s largest city of Manchester, living in Bedford gives you the best of both worlds. Buying a home in Bedford, NH has a lot of benefits to take advantage of. Buyers will find beautiful homes in all different styles, stunning neighborhoods and large lot sizes. Another draw to the Bedford area is the highly rated school system, both within the community and the variety of colleges in surrounding areas. Bedford real estate is so sought after by families due to the quality of education in the school district, the comfortable and stable community environment and the New England style of living. According the www.niche.com, Bedford was ranked #5 in “Best Places to Live in New Hampshire” and #4 in “Best Places to Buy a Home in New Hampshire”. Bedford also ranked #21 on Time’s “Best Places to Live in America” in 2015. 92.6% of the Bedford population of 25+ years old have an education level of high school or higher. The unemployment percentage is significantly below state average. Bedford was first established as Narragansett Number 5 in 1730 then changed to Bedford in 1750. Seth Meyers, comedian and talk-show host of Saturday Night Live and Late Night with Seth Meyers, grew up in Bedford, NH. Market trends show homes for sale in Bedford have a median listing price of $475,000 and spend an average of 69 days on the market. 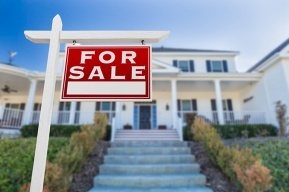 When purchasing a home in Bedford, buyers can expect to pay 99% of the sellers asking price. Homes in Bedford, NH range in style which makes it easier for the buyer to find what they’re looking for. The homes range from historical colonials with detailing and charm to new construction homes with updated features and clean line designs. If you’re actively looking to buy a home in Bedford, get in touch with us at Verani Realty, your trusted and driven realtors in Bedford and throughout the Granite State. Or, start browsing homes and real estate for sale in Bedford, NH online today. When you’re ready to make a move, we’re ready to show you the best homes Bedford, NH has available.